My new post is up on the Nesting Blog. 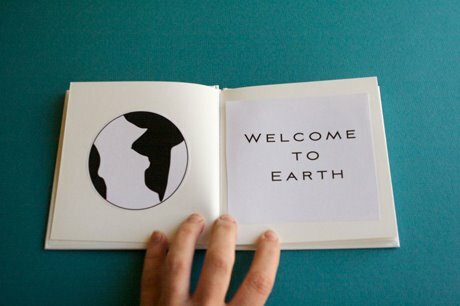 I made this black and white book for my friend Michelle, who just had a baby. Find instructions, sources, and more pictures here. That really is adorable! Thank you for sharing! I can’t WAIT to make one! every word is perfect! and i remember how great the b+w stuff was for my little ones. such a good idea! love! that is darling, I love it! I love this idea. So cute and personal. This is PERFECTION. I absolutely love it! I just love it and I know baby Eleanor will too. aww this is soo cute!! great idea!! Lovely! It’s a great present! You’re frind must just love it! 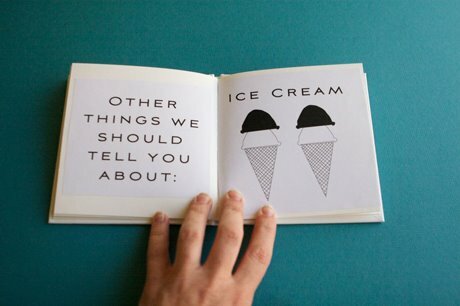 love this idea — and that Muji book could be used for any custom book. you’re so darn creative! This is so lovely and so personal – what a great shower gift idea! Aww, that’s so wonderful! You’re a great friend. Just came across this, and couldn't find it on the Nesting Blog (which loaded funny and maybe you said somewhere else that it was dead?). Wondering if you had it posted anywhere else. All my friends are starting to have babies! very adorable. I wondered too where the instructions were. I can't load up the nesting blog. Hi – looks like the site is permanently down – boo! Are you able to share it any other way? I'd love to make these!